Because this wee city is a true marvel on the Mediterranean Sea. It is quirky, cosmopolitan, cool and with great character! Barcelona has got it all: the unearthing gothic streets and the charm of the modernist city. You simply need to come to discover what makes Barcelona one of Spain’s most livable and energetic cities and one of the most interesting cities in the whole Europe. When I put together my Urban Yoga Adventure, many clients came back to me asking why of all the places available I have decided to go there. In fact, apart of Scotland, Barcelona is my favourite place of all times. I love those colourful little stone streets, the beaches, the sun, the hidden roof top terraces. The flight is so quick and the airport so close to the city, it's the perfect spot for a long weekend. And if you have as good accommodation as we have for the retreat, it's close anywhere and you don't have to worry about being tired in the city. You just won't! Let’s face it, in a city as popular as Barcelona, it can be tricky finding a new hang out that not everyone has already heard about. Fortunately, there are a lot of places which aren’t on all the guide-books…yet! Read on to discover some of the coolest hidden gems in Barcelona, or just come and spend 4 days with us betwern 9-12 February 2018. Did you know that there is a hidden bar inside already hidden bar? Yes! And it’s called El Paradiso. 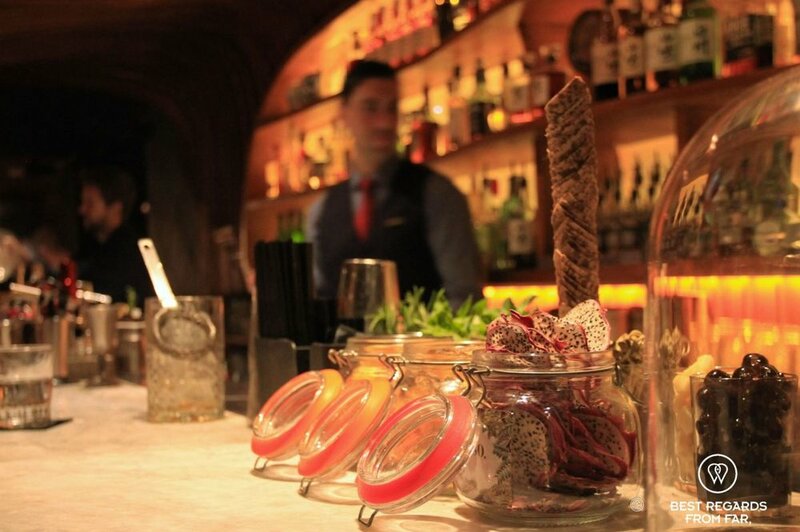 This stylish speakeasy is hidden away behind the cover of a trendy Pastrami Bar in the heart of El Born. Simply give a knowing look to the person behind the counter and they’ll let you in through to the back when the time is right. 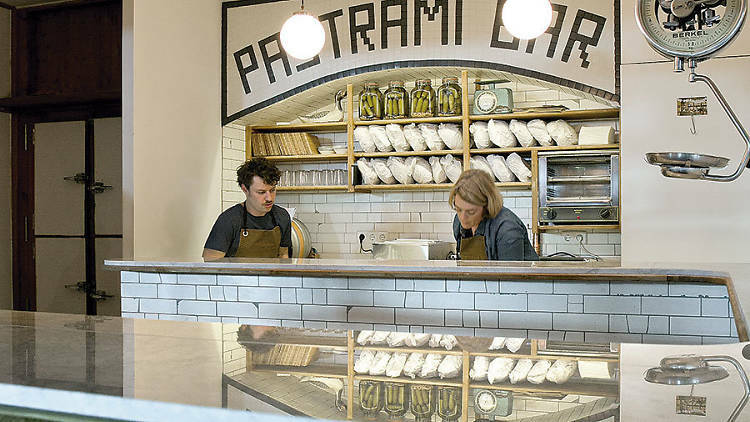 Pastrami Bar is pretty much what it sounds like. It isn't much, but it's excellent and be assured that you are getting the only and the best artisan pastrami in town. 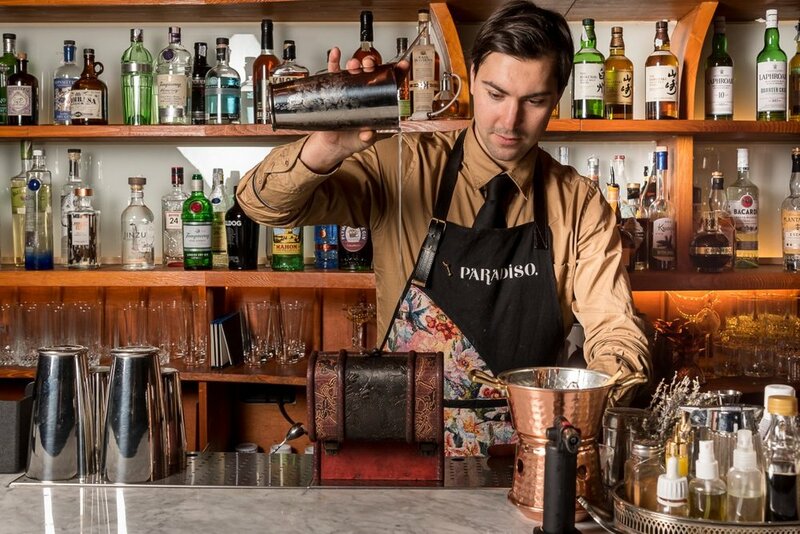 However, If you open the wooden fridge door, which takes up half a wall and gives itself away a bit thanks to its hinges, you'll be transported into El Paradiso – a speakeasy that's not just any cocktail bar. 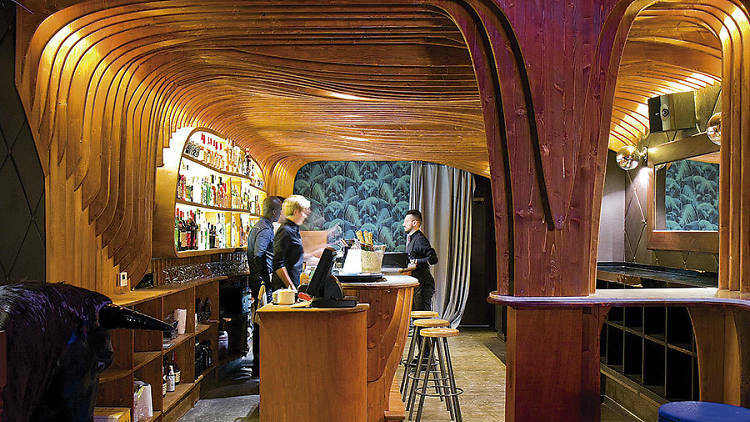 This is an elegant cave lined with wooden slats where Giacomo Gianotti was awarded best cocktail mixologist in Spain in 2014. 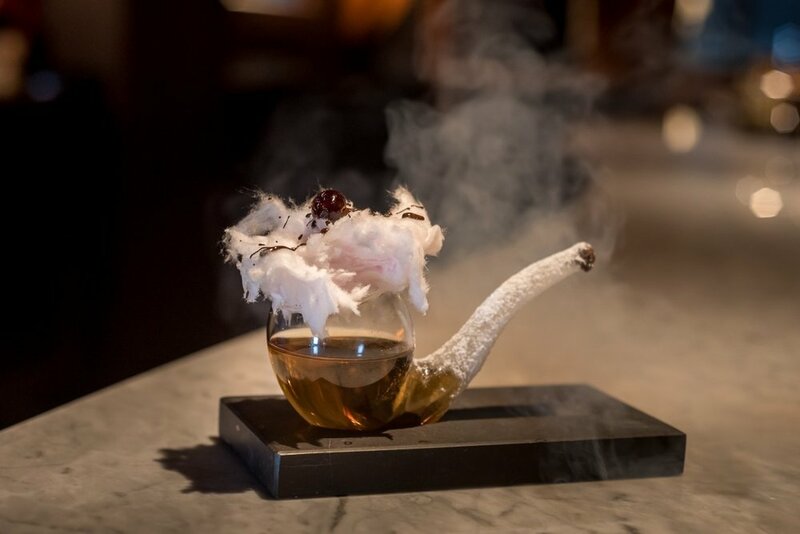 But don't worry, their aim is to serve great signature cocktails at affordable prices. There is more tho… just head to the loo. It’s a bit of a fiddle to find it but there is another hidden door behind the mirror! Behind it you can find the inner, inner sanctum: the Carrollian lair. Are you excited? 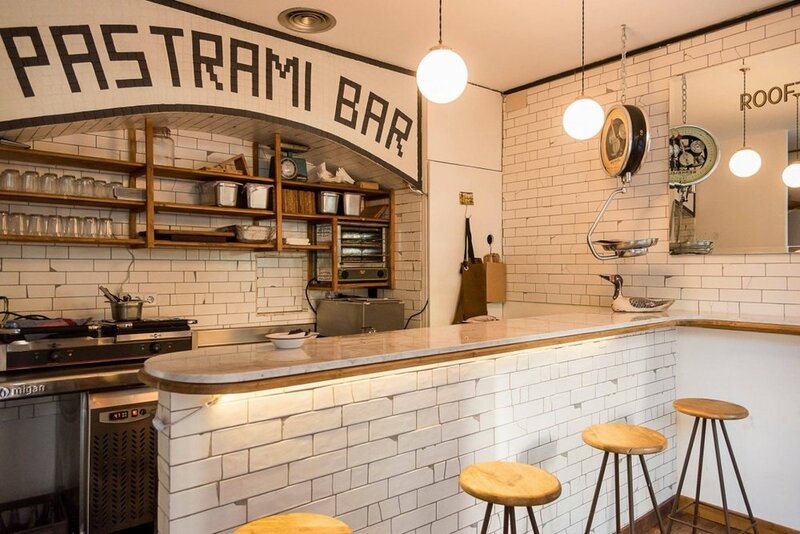 It’s teeny — just a single, soundproofed room — but as inviting and artfully furnished as the rest of El Paradiso, with tall stools, a gleaming copper finish and a hipster barman. This is coolest spot within the coolest spot in town. Have I got your attention now? Good, there is more too come. Stay tunned!